The Black Krystal OMF9022 oven has fifteen cooking functions. 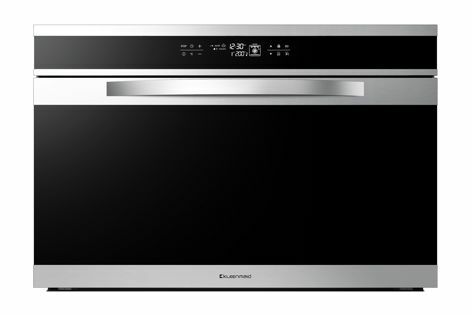 The beautiful Black Krystal OMF9022 oven by Kleenmaid sets a new standard in size and functionality. It’s big enough to cook six family-size pizzas at the one time, due to the new 90 cm × 60 cm format. The OMF9022 has a capacity of 133 litres. It has 15 cooking functions, including a meat probe, rotisserie and special settings for pizza and bread, and even has a setting to turn the oven into a slow cooker.